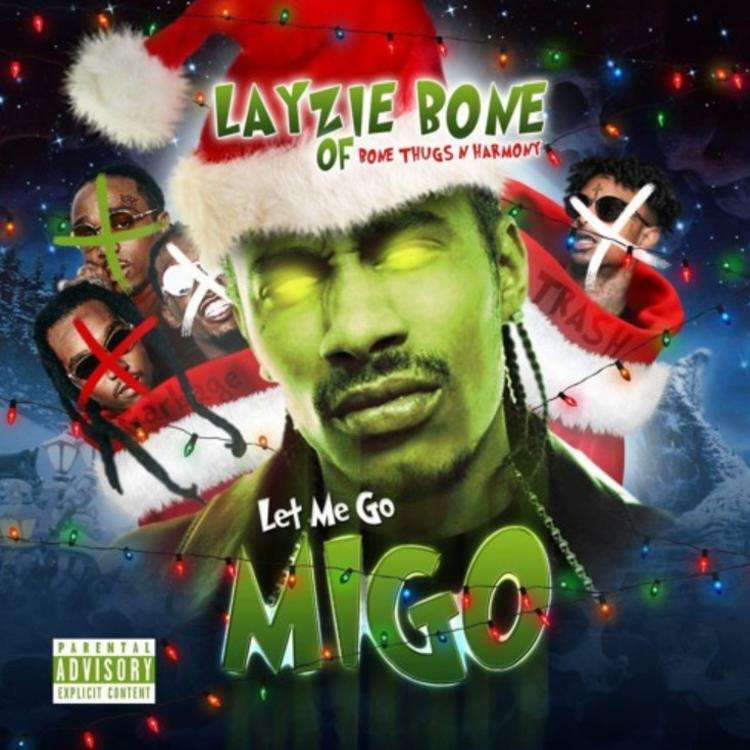 Layzie Bone Let Me Go Migo. Layzie Bone of Bone Thugs In Harmony Comes through with a diss Track Aimed at ATL trap rappers Migos. Bone poses on the track art like the Grinch, while the Migos members are behind him in stockings. 21 Savage also got lumped into a stocking, due to him throwing in his opinion on the matter, which didn’t go over well with Layzie Bone.